The fund is the result of a peculiar alliance forged in 2016 between Mr Son and Muhammad bin Salman. Saudi Arabia’s thrusting crown prince handed Mr Son $45bn as part of his attempt to diversify the kingdom’s economy. That great dollop of capital attracted more investors—from Abu Dhabi, Apple and others. Add in SoftBank’s own $28bn of equity, and Mr Son has a war chest of $100bn. That far exceeds the $64bn that all venture capital (VC) funds raised globally in 2016; it is four times the size of the biggest private-equity fund ever raised. One VC grandee calls Vision Fund “the most powerful investor in our world”. Power does not necessarily mean success. Sceptics about the Vision Fund have lots of ammunition. After a long bull market, the valuations of tech firms are stretched. Mr Son personally makes most of the investing decisions. 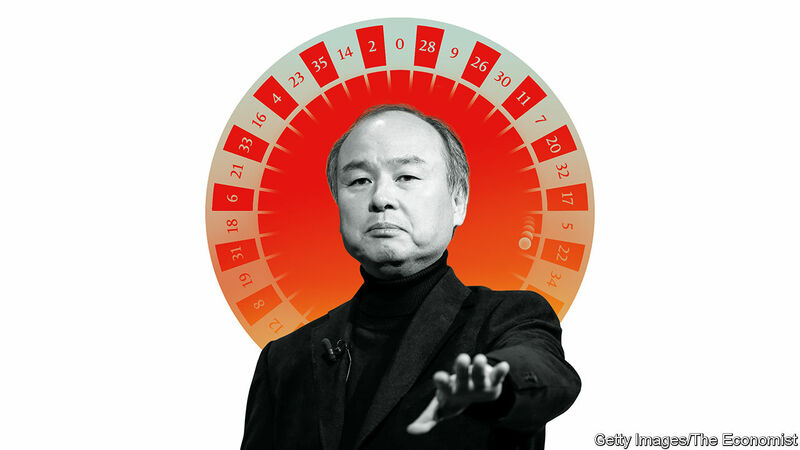 He has notched up some triumphs in his career, including an early bet on Alibaba. But his dotcom-era investments mean he is also the person to have lost more money than anyone else in history. His pursuit of the “singularity”, the point at which computer intelligence exceeds the human kind, might make him a visionary—or just an eccentric. The money is being shovelled out almost as fast as it was taken in. The fund has already spent $30bn, nearly as much as the $33bn raised by the entire American VC industry in 2017. And because about half of its capital is in the form of debt, it is under pressure to make interest payments. This combination of gargantuanism, grandiosity and guaranteed payouts may end up in financial disaster. Indeed, the Vision Fund could mark the giddy top of the tech boom. But even if the fund ends up flopping, it will have several lasting effects on technology investing. The first is that the deployment of so much cash now will help shape the industries of the future. Mr Son is pumping money into “frontier technologies” from robotics to the internet of things. He already owns stakes in ride-hailing firms such as Uber; in WeWork, a co-working company; and in Flipkart, an Indian e-commerce firm that was this week sold to Walmart. In five years’ time the fund plans to have invested in 70-100 technology unicorns, privately held startups valued at $1bn or more. Its money, often handed to entrepreneurs in multiples of the amounts they initially demand and accompanied by the threat that the cash will go to the competition if they balk, gives startups the wherewithal to outgun worse-funded rivals. Mr Son’s bets do not have to pay off for him to affect the race. Mr Son’s second impact will be on the venture-capital industry. To compete with the Vision Fund’s pot of moolah, and with the forays of other unconventional investors, incumbents are having to bulk up. Sequoia Capital, one of Silicon Valley’s most famous names, is raising its biggest-ever fund in response. Mr Son is also bringing capital to places where it is still in fairly short supply—to India, to South-East Asia and to several European countries. When the Vision Fund invested close to $500m in Improbable, a British virtual-reality firm, it broke a funding record, and its €460m ($565m) in Auto1, a German online car dealer, was one of the country’s biggest such investments in several years. Rather than wait for founders to make the trip to California, investors are under greater pressure to seek out entrepreneurs. The Vision Fund’s unprecedented span, across countries and industries, leads to its third impact. Mr Son says he wants to create a “virtual Silicon Valley in SoftBank”, meaning a platform on which unicorns can offer each other contacts and advice, buy goods and services from each other, and even join forces. The concept of portfolio companies collaborating is familiar from private equity, but the fund’s sheer breadth marks it out. Mr Son is, for example, trying to orchestrate his various ride-hailing investments so that they do not burn through so much cash by competing with each other. He encouraged Uber to sell its South-East Asian business to Grab earlier this year and is urging it to make a deal in India with Ola. The Vision Fund model is disruptive, then. But is it good for innovation and consumers? Mr Son’s project certainly has its attractions. It is shaking up the cosy world of Silicon Valley venture capital. And it may nurture competition against the tech giants. The fund offers founders of startups an alternative to cashing out to the likes of Google, Facebook and Amazon; its massive chequebook also gives those entrepreneurs a better shot at competing with the titans. The fund may perform a similar function in China, where nearly half of all unicorns are by now backed by one of the country’s four tech giants, Baidu, Alibaba, Tencent or JD.com. Yet its disadvantages extend beyond the risk of losses. Its sheer size risks raising the cost of running a startup for everyone. Young firms that receive its cash often spend it on sales and marketing, which puts pressure on every other company in the industry to spend as lavishly in order to acquire customers. Companies that receive hundreds of millions of dollars of capital in one go are elevated far above their competitors. That hands a single individual kingmaking powers, while keeping young firms out of the clarifying glare of the public markets for even longer. Attempts to carve up markets among portfolio firms may in time raise a different set of competition concerns. A proper verdict on the Vision Fund will not be possible for years. But the fate of many startups and the choices consumers enjoy in the future will be guided by the bets Mr Son is making today. Fortune’s biggest wheel is spinning. The dollar reigns supreme in global finance. It accounts for a dominant share of international financial transactions and is the ultimate safe haven currency. But the US currency’s supremacy cannot be taken for granted. President Donald Trump may be sowing the seeds of its demise. Mr Trump has often called for a weaker dollar, apparently to counter other countries that he claims are taking unfair advantage of the US by weakening their currencies to boost exports. Talk is cheap, however, and such statements by themselves will hardly derail the dollar. The real damage to its standing is more insidious and comes from policies that are eroding America’s fiscal stability, its trustworthiness and the strength of its institutions. In times of financial turmoil — including the global financial crisis, which originated in the US — panicky investors flood into US bond markets. No doubt the sheer size of the American government and corporate bond markets is a key factor. But there is something subtler and more important that accounts for the dollar’s status. It comes down to trust. Flows into and out of currency and equity markets, where people make consequential financial decisions, show how trust matters even in seemingly cold-hearted and dispassionate decision-making. The institutions that engender and maintain the trust of both domestic and foreign investors include an open and transparent system of democratic government with checks and balances. This needs to be underpinned by a central bank free from direct political interference and the rule of law administered by an independent judiciary. Trust in US institutions is why, despite the prospect of rising government debt levels and the economic uncertainty unleashed by Mr Trump, the dollar remains strong. But this strength could prove fleeting. At present, most international financial transactions are denominated and settled in dollars and often through American financial institutions. This would change rapidly if investors believed that reckless fiscal policies could heighten volatility and erode the dollar’s value. As it is, the falling cost of transacting in other currencies and the rise of emerging market currencies such as China’s renminbi are already reducing the dollar’s role in denominating and settling cross-border transactions. China and South Korea are conducting trade using their own currencies rather than relying on the dollar as a “vehicle currency”. The logic for denominating in dollars virtually all contracts for oil and other commodities is waning. Other forces are at work. Under Mr Trump, the US is increasingly seen as an unreliable partner in trade, military and other agreements. This has damaged its international credibility and also sown fear that Mr Trump could wield the dollar as a weapon of control over other countries. Consequently, China and Russia, among others, are setting up their own payment systems and channels that bypass the US. Perhaps, even if the dollar wanes as the dominant medium of exchange, it will remain unparalleled as a safe haven. Foreign investors, including central banks, have shown no signs of forsaking their dollar assets. US institutions have indeed withstood the test of time, but taking them for granted could prove costly. When the American political system has come under severe stress in the past, a free press, backed by an independent judiciary, has functioned as a correcting mechanism. All of these institutions are under attack from Mr Trump, abetted by a Republican-dominated Congress. The dollar’s supremacy depends not just on America’s economic or military strength, but also on the durability and strength of its institutions. It is precisely these that the Trump administration is eroding — something even his devoted base might one day come to rue. MUNICH – Global growth is accelerating. But before we break out the champagne, we should acknowledge the long-term risks to sustained expansion posed by rising private and public debt. 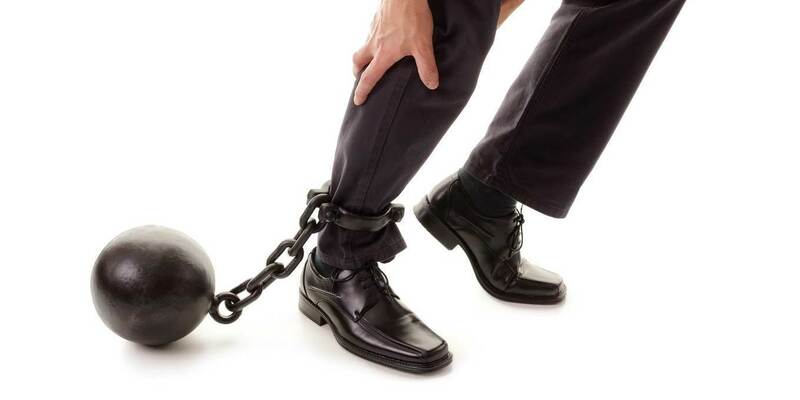 The world has endured enough economic crises to know that high debts create serious risks. Nominal debt is fixed, but asset prices can collapse, generating huge balance-sheet losses and causing risk premia – and thus borrowing costs – to rise. A mere decade ago, when a credit-fueled financial boom turned to bust, the financial sector was pushed to the brink of collapse, and a years-long recession followed in much of the world. The only sustainable debt burden is one that can be managed even during cyclical downturns. Yet governments continue to repeat the same mistakes, treating debt as a boon for long-term growth, rather than what it is: a heavy burden and a source of massive long-term risks. It is time for policymakers and their economic advisers to recognize this, and abandon the assumption that more debt always leads to more growth. Though there are times when governments need to borrow to stimulate the economy, deficit spending cannot lift growth in the long term. And at times when growth rates and private-sector borrowing are rising – times like now – governments should be working to reduce their own deficits. This is relevant for the US and Japan, but also for European Union countries, which should take advantage of today’s recovery – the strongest in the decade – to bring their public finances in line with the Stability and Growth Pact. Governments should seek to prevent the buildup of unsustainable debt by stimulating long-term, non-debt-financed growth, using a combination of regulation, trade agreements, investment incentives, and educational and labor-market reforms. In a low-inflation environment like the one prevailing today, central banks can cushion the impact of such reforms through expansionary monetary policies. But central banks must calibrate their interventions carefully, to ensure that monetary expansion does not encourage the buildup of even more private-sector leverage. This means thinking twice before enforcing negative deposit rates, designed to pressure banks to lend more, or liquidity operations conditioned on bank lending. A better approach would emphasize the use of forward guidance to influence interest-rate expectations and bond yields. Low yields can fuel asset-price increases and stimulate demand in a range of areas, not only through higher corporate leverage. That said, with asset prices already high and economies growing at a healthy pace, central banks should follow the Fed’s lead in gradually unwinding the stimulus programs they initiated after the 2008 crisis. Moreover, regulators should do more to ensure that private debt is channeled toward productive uses offering decent longer-term returns. This is the lesson from previous debt crises, including the subprime mortgage bubble that triggered the meltdown a decade ago, with devastating consequences for growth and employment. For example, regulatory authorities can employ macroprudential policies to impose limits on segments of financial markets that are overheating, thereby improving the allocation of capital and stabilizing investment returns. They should take particular care to prevent real-estate bubbles, because real estate constitutes a huge share of overall wealth and a key source of collateral in finance. But the strong rise of low quality leveraged loans should also be a concern. None of this will be easy for governments, regulators, or central banks. Monetary tightening may slow growth temporarily; preventing the growth of bubbles is notoriously difficult; and the types of structural reforms needed to secure a shift away from debt-fueled growth are hardly ever popular. Today’s febrile political environment certainly will not simplify matters. But the consequences of shying away from such choices could be devastating. The financial cycle will continue to gain momentum, eventually causing asset prices to overshoot fundamentals by a wide margin; leverage ratios will rise even further, and demand will outstrip capacity, spurring inflation. Times may be good, but good times are precisely when risks build up. Policymakers cannot say they have not been warned. U.S. President Donald Trump canceled next month’s summit with North Korean leader Kim Jong Un on May 24, citing the “tremendous anger and open hostility” of recent North Korean rhetoric. (Of course, North Korea says angry and openly hostile things all the time; it would be more suspicious if it suddenly stopped.) Trump later said the summit might still happen with unspecified “constructive steps” from Kim. But the U.S. and North Korean positions on the North’s nuclear program are still miles apart, and the U.S. simply wasn’t going to get much of what it wanted in the June 12 summit in Singapore. It’s not clear if the White House ever truly thought otherwise – or, if so, why it did. It’s possible that things were communicated behind the scenes all along that led the U.S. to take the North’s willingness to give up its nukes seriously – and that the North has indeed done an about-face. This is the story coming out of the White House. Earlier this week, Trump suggested that relaxed pressure from China on the North had led Pyongyang to harden its position. But nothing the North has done publicly since Kim’s New Year’s speech has suggested an actual willingness to hand over its nukes. More important, the North has long seen nuclear weapons as the ultimate way to keep the U.S. and hostile outside powers at bay for good. There’s little that China or international sanctions pressure or maximalist rhetoric can do to change Pyongyang’s thinking on this. Empty U.S. reassurances about regime security aren’t going to do the trick – even if Trump, rather oddly, hadn’t warned Kim this week that failure to give up his nukes would lead him to the same fate as Libyan leader Moammar Gadhafi, who did surrender his nuclear weapons program. True, the North has refrained from conducting missile or nuclear tests since November. It released U.S. prisoners. Kim said nice things to South Korean President Moon Jae-in about heading down the long road to reunification and hinted at an interest in economic liberalization. Kim echoed his father and grandfather in reiterating that denuclearization of the Korean Peninsula was the enduring dream of the Kim dynasty. Just two hours before Trump’s announcement, the North even blew up its nuclear test site – or at least appeared to do so (Western journalists attended the event, but inspectors haven’t been allowed in). But these are merely measures of good faith intended to demonstrate a willingness to sit down with its great adversary – as nuclear powers on equal footing. They do not signal a softening of Pyongyang’s position on its nuclear program. Ultimately, when the U.S. and North Korea talk about denuclearization, they are talking about two very different things. In the Trump administration’s view, denuclearization needs to be complete, verifiable and irreversible – and, importantly, completed by the end of Trump’s first term. According to U.S. National Security Adviser John Bolton, every one of the North’s nuclear, biological and chemical weapons, along with its associated equipment, plus its ballistic missiles, must be dismantled and shipped to the Oak Ridge National Laboratory in Tennessee before North Korea gets anything tangible in exchange. The U.S. even wants North Korea’s nuclear scientists to leave the country. To North Korea, denuclearization is more of a long-term goal on par with global disarmament. In the meantime, the most it may be willing to compromise on is the size and shape of its missile and warhead arsenal. North Korea almost certainly believes that it is bargaining from a position of strength. To start, even if its missile arsenal is not yet reliable enough to guarantee an ability to strike a target in the U.S., North Korea is effectively a nuclear power. Despite its freeze on missile and nuclear tests and the apparent destruction of its favored nuclear test site, it already has large stockpiles of nuclear weapons and missiles that, if nothing else, can fly far enough to reach airspace over the United States. And though it has yet to demonstrate mastery over intercontinental ballistic missile re-entry technology – the trickiest part of missile development – the missile program is far enough along to make the U.S. think twice about an attack on the North. In the nuclear game, deterrence doesn’t hinge on what’s probable, just what’s possible. This, along with its entrenched artillery positions along the demilitarized zone that threaten more than half of South Korea’s population, may be enough for the North to think it has the U.S. beat on the military question. In addition, in the North’s view, Trump backed himself into a political corner when he agreed to buck precedent and sit down with Kim face-to-face – long an elusive goal of the North – before it had made any substantive concessions. The North (with ample help from Seoul) dangled an opportunity, even if a wholly insincere one, for Trump to do what none of his predecessors could: bring Pyongyang to heel. Since the North was never going to hand over its nukes willingly, this meant Trump would be faced with the prospect of either coming home empty-handed or claiming victory by agreeing to a weak deal – likely involving a freeze on ICBMs and perhaps a protracted, largely symbolic process toward denuclearization. In other words, Pyongyang saw a chance to get de facto recognition of its status as a nuclear power, plus concessions on short-range missiles and the U.S. troop presence on the peninsula that would weaken Washington’s alliance with South Korea and Japan (something China wholeheartedly supports). If, as turned out to be the case, the U.S. came to terms with its poor position and backed out of the summit, the North would be no worse off than before. Its position may even be improved. The North, after all, has lived up to its pledges ahead of the summit, however symbolic they may have been. It’s keen to drag out the diplomatic process and demonstrate that it can act as a rational and responsible nuclear power – or at least enough that countries like China and South Korea may want to start normalizing ties with (and easing sanctions on) Pyongyang. Meanwhile, whatever the strategic logic that led the U.S. to abandon the Iran nuclear deal, doing so without even trying to prove that Tehran had violated the deal has only reinforced perceptions of the U.S. as a capricious power. Backing out of the summit on grounds that North Korean rhetoric had become too bellicose won’t help in this regard. The U.S. is leaving the door open for the summit to resume and searching for leverage to improve its negotiating position. But its options haven’t really changed. It can decide the costs of war are worth bearing and try to deal with the nuclear issue by force. It can conduct a limited strike to demonstrate resolve and call the North’s bluff on a counterattack, whatever the risks of escalation. It can agree to a weak deal that would effectively cement Pyongyang’s nuclear status. It can kick the can down the road indefinitely and hope the regime eventually collapses under its own weight. None of these are good options, but that’s why the issue hasn’t been resolved before now. Past U.S. presidents declined to meet with North Korean leaders because doing so would legitimize a tyrannical regime without getting anything substantive in return. Real concessions would require a tortuous process built on incremental gains, and the North has never proved a particularly credible negotiating partner. It’s understandable why the Trump administration wouldn’t want to head down a familiar road littered with failures. But there’s no reason to think it can just skip ahead to the finish line, either. You may have forgotten about the nucleolus since you took biology class, but scientists think this structure inside every cell in your body may play an important role in aging. Once there was a mutant worm in an experiment. It lived for 46 days. This was much longer than the oldest normal worm, which lived just 22. Researchers identified the mutated gene that had lengthened the worm’s life, which led to a breakthrough in the study of aging — it seemed to be controlled by metabolic processes. Later, as researchers studied these processes, all signs seemed to point to the nucleolus. Under a microscope, it’s hard to miss. Take just about any cell, find the nucleus, then look inside it for a dark, little blob. That’s the nucleolus. If the cell were an eyeball, you’d be looking at its pupil. You’ve got one in every nucleus of every cell in your body, too. All animals do. So do plants, and yeast — and anything with a cell with a nucleus. And they’ve become much more important in our understanding of how cells work. “We think the nucleolus plays an important role in regulating the life span of animals,” said Adam Antebi, a cellular biologist at the Max Planck Institute for Biology of Ageing in Germany. He’s an author of a new review published last week in Trends in Cell Biology that examines all the new ways that researchers have fallen in love with the nucleolus — especially its role in aging. You may have forgotten this from biology class, but the nucleolus is the cell’s ribosome factory. Ribosomes are like micro-machines that make proteins that cells then use for purposes like building walls, forming hairs, making memories, communicating and starting, stopping and slowing down reactions that help a cell stay functioning. It uses about 80 percent of a cell’s energy for this work. But there’s more to the nucleolus than just making ribosomes. If building a cell were like building a building, and the DNA contained the blueprint, the nucleolus would be the construction manager or engineer. “It knows the supply chain, coordinates all the jobs of building, does quality control checks and makes sure things continue to work well,” said Dr. Antebi. How well it balances these tasks influences a cell’s health and life span. And in certain cells, its size has something to do with it. The nucleolus can wax and wane in response to a body’s available nutrients and growth signals. The more growth signals it intercepts, the more machines, or ribosomes, it makes. It gets bigger to contain them, but mysteriously this also shortens a cell’s or organism’s life. When food is restricted, or a metabolic pathway is silenced or slowed down, nucleoli shrink, making fewer ribosomes, and cells live longer. Dr. Antebi thinks that as the nucleolus gets smaller, it also starts remodeling the things it would create to make the best of available supplies. This is a highly coordinated process, he said. And life span can be thought of as how well the nucleolus balances the need to grow with the need to repair, correct mistakes and make sure everything works. A drug called rapamycin, that blocks the signals of one metabolic pathway, extends life in different species from yeast, worms and fruit flies to mice. Centenarians tend to have cells in which there is reduced signaling in another pathway that involves insulin. Researchers have found that modest dietary restriction and exercise shrank nucleoli in muscle cells of some people over age 60. People with diseases like cancer or progeria, a kind of accelerated aging, tend have enlarged nucleoli. You can see these kinds of effects in many different species. “It’s amazing — even if genetically identical, some live a short life and some live a long life,” said Dr. Antebi. “We think that the smaller nucleoli may be a cellular hallmark of longevity” in certain cells under certain conditions, he added. More research is needed to see if the size of these structures are just markers for longevity or aging or if they actually cause it. “We’ve spent lots of money on trying to find biomarkers of longevity or aging, and maybe it’s just sitting under the microscope for us to see,” said Dr. Antebi.